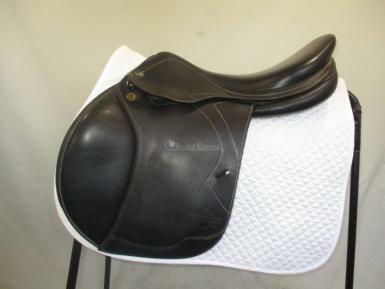 The Versailles is a close contact jump saddle with a medium depth seat, medium sized front and rear thigh blocks and calfskin leather flaps. Built on a 34 (mw) tree and since widened slightly, we measure it to be a mw - w fit. 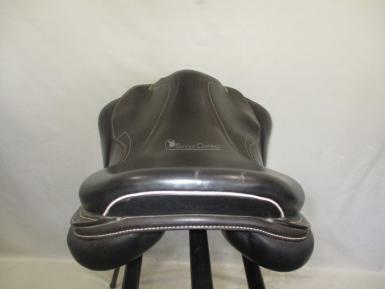 The 18" seat will benefit those riders with a longer leg. 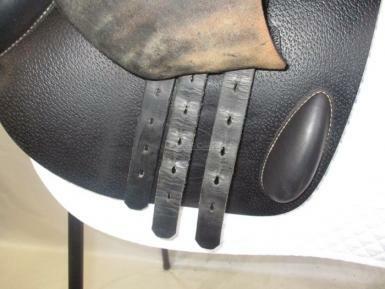 Wear/Damage: a couple of minor marks on the cantle. 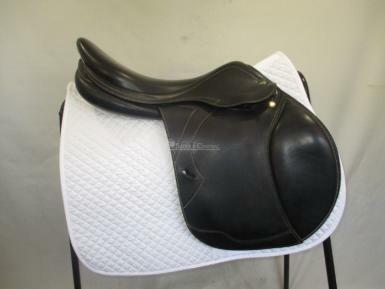 A tiny nick on the front piping, so slight it doesn't show in the pitures. Tree Size Measured: we measure as equal to approx medium wide to wide when compared to the Bates gullets. 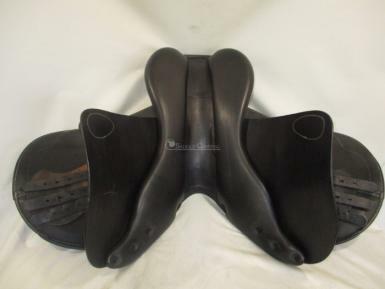 Adjustable Gullet/Tree: adjustable by a saddler using heat method.